Advance Agro is Thailand’s largest pulp and paper manufacturer. The company claims to be ‘green’, but local communities living with the impacts of the plantations and pollution from the pulp mill question such claims. By Chris Lang. 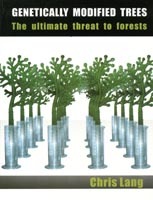 Published in Pulping the Mekong, October 2003. Advance Agro is the largest pulp and paper manufacturer in Thailand. Seventy per cent of the company’s production is exported, to Europe, Asia, USA, Africa and countries in the Middle East. The two largest markets are China and Japan. The company markets its “Double A” brand paper as environmentally friendly, with advertising which explains that the raw material comes from plantations and thus relieves pressure on remaining forest areas. The reality is that Advance Agro’s plantations have displaced communities and are the final stage of deforestation in east Thailand. 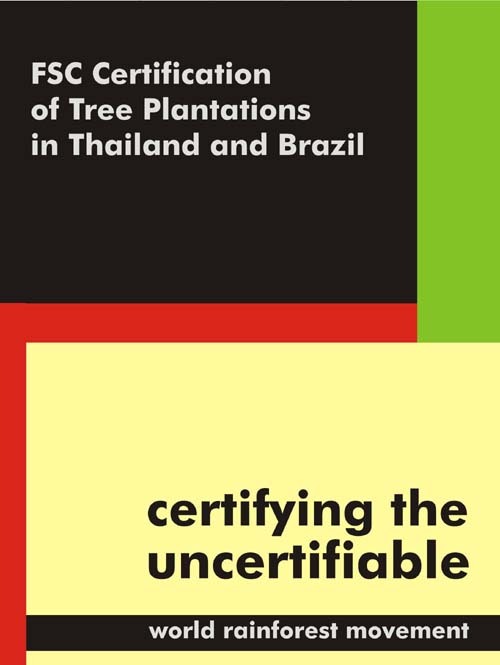 Kasem Petchanee, the Chairperson of the NGO Coordinating Committee, Lower Northern and Upper-Central Thailand, explained how deforestation started when companies like the state-owned Forest Industry Organisation started logging operations. “Fifty years ago this area was covered in fertile forest,” he said. One of Advance Agro’s eucalyptus monocultures. During its war in Indochina, the number of US troops stationed in Thailand reached a peak of almost 50,000 in 1969. To link their bases in north-east Thailand with the port of Chon Buri the US built a network of major roads. 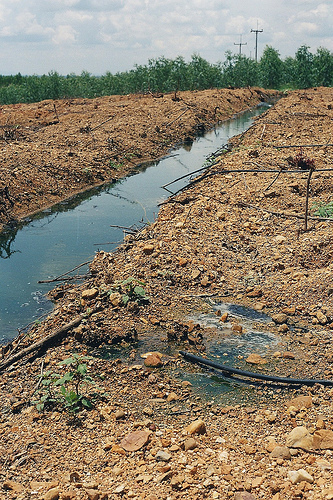 Deforestation followed the road-building. In the 1970s and 1980s, the Thai government built more roads to access the forests of Cambodia. 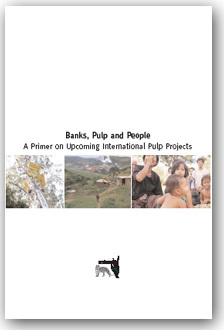 The World Bank has played a key role in promoting cash crops in Thailand. Among the organisations set up at the Bank’s recommendation is Thailand’s National Economic and Social Development Board (NESDB), which oversees all public investment planning. Since its establishment in 1959, NESDB has been a major promoter of cash crops grown for export. Encouraged by NESDB’s policies, companies started planting cash crops such as cassava and sugar cane in east Thailand. 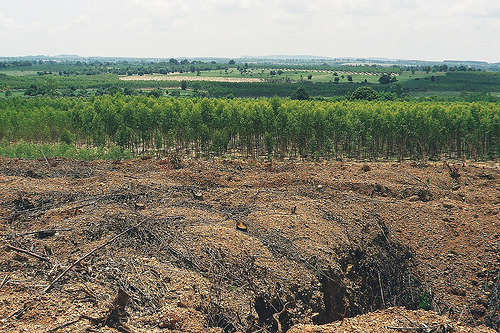 Conflicts developed over land as companies encroached on people’s land and forests. Villagers were forced to grow cash crops and forced to sell their crops to a particular company. Networks of influence, involving members of parliament, companies, army officers, and a local mafia were established and expanded. Mafia-style murders, land speculation and landlessness became common in east Thailand. In 1982, the Soon Hua Seng Group (SHS), one of Thailand’s leading rice and cassava exporters, started planting eucalyptus in east Thailand as an alternative to cassava. By 1987 SHS was planting eucalyptus on a commercial scale and set up the company Advance Agro to produce pulp and paper. The impact of the plantations on the soil can clearly be seen. 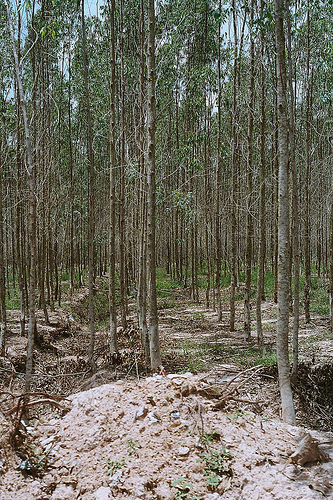 In 1990, 156 employees of Suan Kitti, a Soon Hua Seng subsidiary, were arrested for illegally logging a forest area, prior to planting it with eucalyptus. After the scandal, Soon Hua Seng hired a Finnish public relations company, Presko, and swiftly changed the name of proposed mill from Suan Kitti pulp mill to Advance Agro. When Thailand’s Board of Investment approved Advance Agro’s proposed pulp mill in the mid-1990s, the company also received a series of generous subsidies, including an exemption from corporate tax for the first eight years, and 50 per cent reduction for the next five years. Import duty on machinery imported to build the mill was waived. 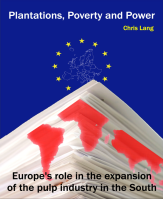 Import duties on raw materials used to manufacture pulp and paper were also heavily reduced, particularly for products to be exported. Today the Soon Hua Seng Group has 32,000 hectares of its own plantations as well as around 50,000 hectares of eucalyptus planted by farmers under contract. In 1996, Advance Agro opened its first pulp and paper mill in Prachinburi province and now has a total capacity of 500,000 tonnes of paper a year. Laemkowchan village is about 100 years old and is close to one of Advance Agro’s mills. In the past, villagers grew rice, cassava and pumpkin. 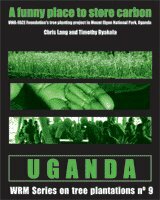 When SHS started to look for land to plant eucalyptus many villagers sold the land they had used for cassava planting to the company. Waste water from Advance Agro’s pulp mill. Waste water from Advance Agro’s mill is poured onto the eucalyptus plantations. The filthy water lies in channels between the rows of the eucalyptus trees. Villagers point out that although the water is treated at the pulp mill this does not mean that the water is clean. Recently water released from the mill destroyed villagers’ rice crops. Villagers report that ash from factory chimneys is deposited on their houses and gardens. People have experienced skin problems such as itchy skin. The air sometimes smells and villagers are worried that the factory might be emitting sulphur as well. The company has set up an environmental unit, and company officials tell villagers that they know about the problems. However, villagers have never received any compensation for any of the problems that the company has caused them. 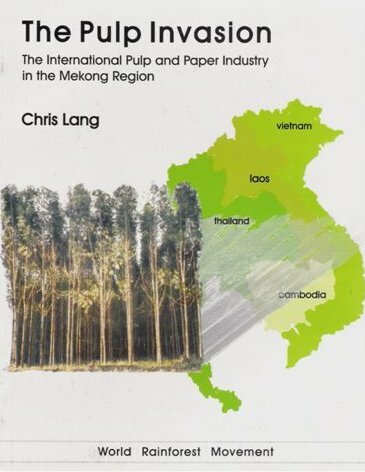 In 1997, Virabongsa Ramangkura, Advance Agro’s Chairman, announced a joint venture with the Chinese Government to build a 700,000 tonnes a year pulp mill in eastern Thailand. Advance Agro would establish 96,000 hectares of eucalyptus plantations to supply the raw material. The $1 billion project would be China’s largest single overseas investment. The project has been mired in controversy for many years, mainly because villagers already live on much of the land that the company wants for its plantations. Several international companies have benefited from contracts on Advance Agro’s mills. Jaakko Pöyry, the world’s largest forestry and engineering consulting company, won contracts from Advance Agro for engineering design, project management and construction management of the Prachinburi mill. Japan’s Mitsubishi Heavy Industries provided machinery for Advance Agro’s paper mill. Finance for Advance Agro’s mills was organised by Barclays de Zoete Wedd. The main backers were Bangkok Bank, Thai Farmers’ Bank, Krung Thai Bank and the UK’s Commonwealth Development Corporation. The International Finance Corporation, the World Bank’s private lending arm, lent US$10 million and further financing came from export credits. The economic crisis in 1997 hit Advance Agro hard. The company breached financial covenants on its loans as a result of foreign exchange losses and in 1997 it posted losses of $200 million. In 1998, Advance Agro sold 19.9 per cent of its shares to Enso (now Stora Enso, after the merger of Finland’s Enso and Sweden’s Stora). Japan’s largest producer of pulp and paper, New Oji Paper, also bought 5.5 per cent of Advance Agro. New Oji and Stora Enso gained considerably more than just shares in the company. Stora Enso gained exclusive international marketing rights for Advance Agro’s products (outside Japan, where New Oji gained marketing rights) and a secure market for 12,000 tonnes a year of long-fibre pulp from its European mills. Two members of Stora Enso are on the board of Advance Agro and Stora Enso has the right to approve (or not) major corporate decisions. A senior executive from New Oji also sits on Advance Agro’s board. In May 2003, Seppo Hietanen, one of Stora Enso’s representatives on Advance Agro’s board, told Taloussanomat, a Finnish business journal, that the company produced an environmental assessment of Advance Agro before buying the shares in 1998. According to Hietanen the operations complied with Stora Enso’s environmental standards. “On the other hand, we don’t necessarily know everything since we have no direct decision making power on timber and water issues,” Hietanen added. Advance Agro is a good illustration of how Northern and Thai companies benefit from the pulp and paper industry, while rural communities are left with the costs.